Some great fishing going on right now for both salmon and sturgeon, the rivers are filling up with salmon and lots of amazing sturgeon going on. The weather hasn’t been the greatest this past week but considering all the wind and rain forecasts we have missed most of it. The next 4 weeks will offer some of the best fishing of the season, take advantage of the great fishing and book today. 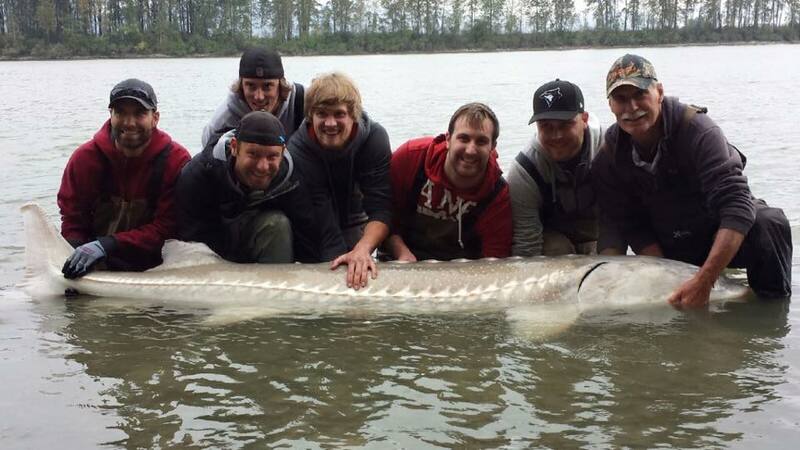 This week’s largest landed sturgeon was just under 10ft, a fair number of fish between 7-9ft are being caught and lots of 5-7 footers as well. These fish are now feeding for the winter, how aggressive you ask? 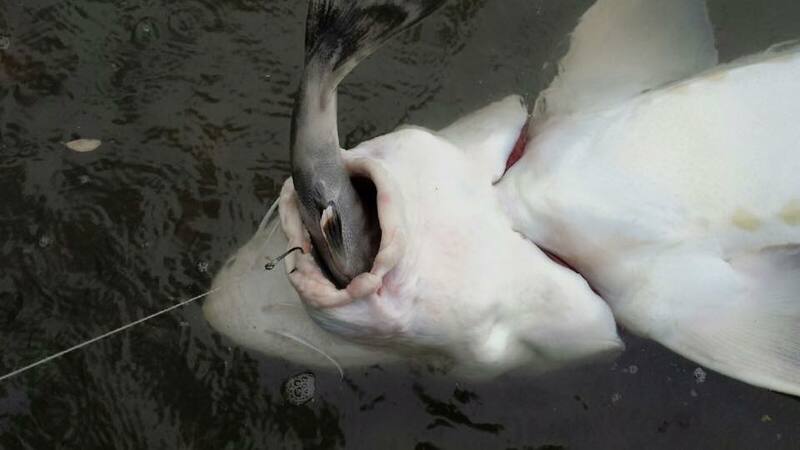 Have a look at the pic below, this sturgeon had just eaten a live chum salmon and before it was even swallowed , it grabbed STS Guide Doug Elias bait right after eating a salmon. Some big Coho around this week, some great fishing on the Harrison River and lower Fraser, you can bar fish, spin fish, fly fish or plunk tee spoons, all these methods are working right now and the action is good. 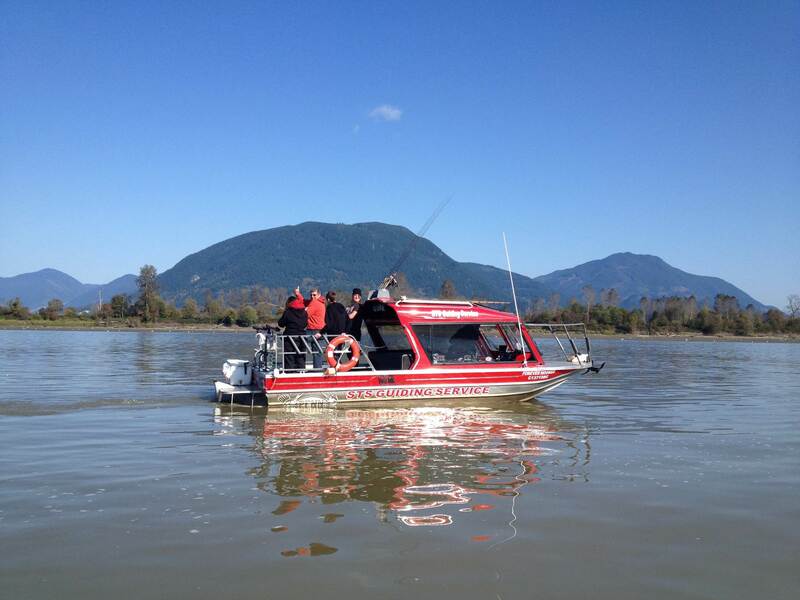 The chum salmon are pouring into the Fraser, Vedder, Harrison, Stave and Dewdney Slough. Lots of Chum boiling and it’s a great time to go out and catch them. 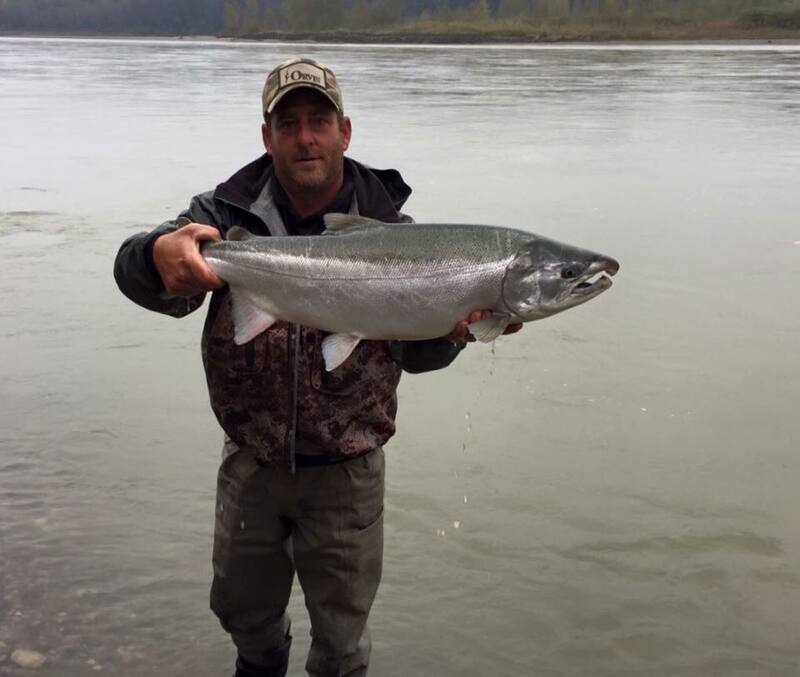 Here is a monster Coho caught by our guests fishing with STS Guide Thomas Rutschmann while bar fishing on the Fraser River. The Chum salmon are big this year, lots of great action on fly and spoons, our favorite is drifting Colorado blades, Pink wool and Purple Jigs. If your fly fishing try a rolled muddler or a flashabou fly for best results. If your casting spoons, try the Gibbs Croc Hammered Brass Red Fire Stripe or Hammered Silver with Red Fire Stripe, they both are amazing but most Gibbs Crocs in Brass or Silver will work well. Our Hells Gate and Canyon trips are done for the season, the past heavy rains have made it dangerous to venture deep into the canyon, by the time the river drops back down we will have the big twin tucked away for the winter. 2017 should be a great season in the canyon and we are already booking up at around 50% > if your looking for a full day in the canyon, book now to get your date reserved. Have a great week and hope to see you out on the water. 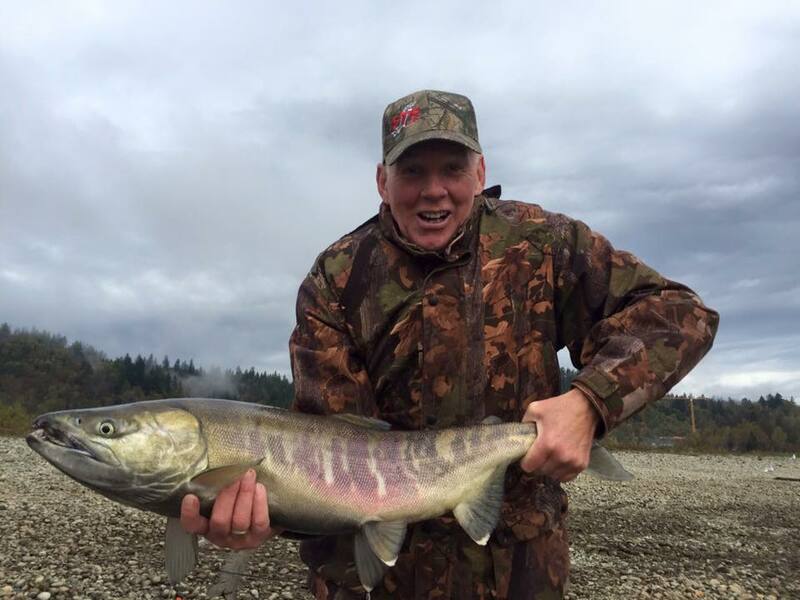 You are currently reading Oct 17 fishing report update at Hells Gate Jet Boat Tours Blog.